Some of our favorite projects are building brand identities for companies that we know will positively impact the lives of others. 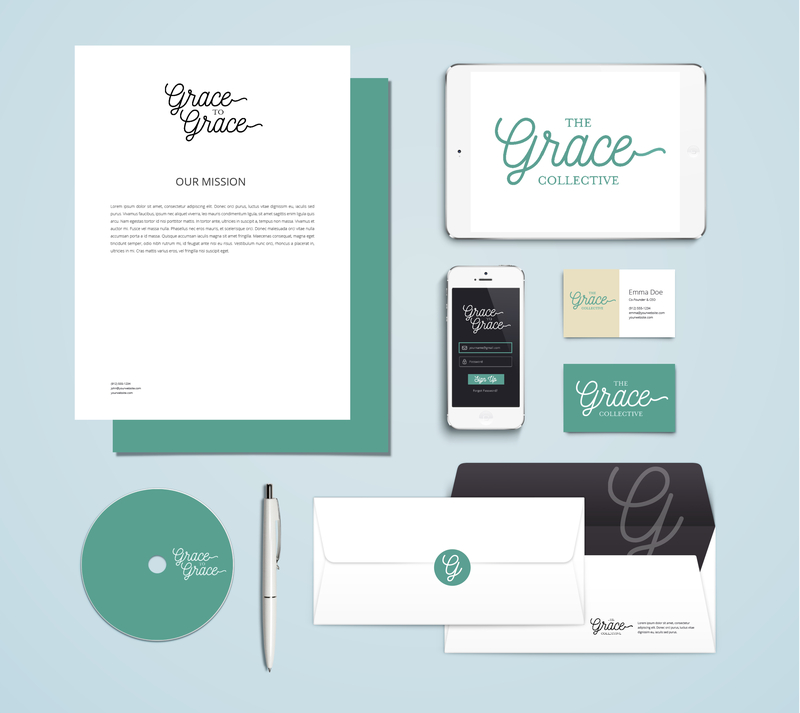 We are more than pleased to share the ‘Grace’ branding with you, and a little about the company with big hopes. ‘Grace’ started with a vision of creating a community for all women to encourage and empower a life in Jesus. The foundational roots that reflect the goal of ministry for Grace are redemption in Jesus, acceptance in community, knowledge of our true identity in Christ and equipping to lead and be led by the Holy Spirit. Grace aims to provide events that facilitate growth in those areas through hosting gatherings, serving our community, providing bible study and performing speaking engagements. The Grace Collective is a gifted group of writers and other creatives providing devotionals, planning service opportunities and engaging in mentorship. The Grace to Grace blog was started by the founder of Grace, Amber Sherwood in January of 2018 as an extension of our local community to share the heart of God for our generation.